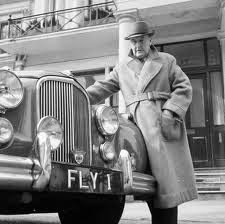 You have to admire a man like John Brabazon, not just for having an incredible license plate, but also for being the first person to fly a plane in Britain. And not only did he do that, but he also had a splendid plane named after him. A splendid, worthless, beautiful, useless, wonderful, horrible elephant of a plane.